SAPHO is an acronym standing for Synovitis Acne Pustolosis Hyperostosis Osteitis . According to Medical Subject Headings , SAPHO syndrome is defined as :"Syndrome consisting of synovitis, acne, palmoplantar pustulosis, hyperostosis, and osteitis (SAPHO). The most common site of the disease is the upper anterior chest wall, characterized by predominantly osteosclerotic lesions, hyperostosis, and arthritis of the adjacent joints. The association of sterile inflammatory bone lesions and neutrophilic skin eruptions is indicative of this syndrome." The term SAPHO was coined only in 1986, after decades of observations and researches, noting the association that frequently occurred between the five pathologies (Synovitis, Acne, Pustolosis, Hyperostosis, Osteitis). SAPHO syndrome in fact brings to several inflammatory bone disorders that may be associated with skin changes. SAPHO is a rare disorder , with most reports from Europe and North America. However there are also reports from Asia and South America which suggest a global distribution. The syndrome is mostly observed in children and young adults. Presentation involves both osteo-articular inflammation and *skin abnormalities. The cutaneous manifestations are present in 20% to 60% of cases and may occur at anytime during the course of the disease. The most frequent disorder is palmoplantar pustulosis, followed by acne, acneiform folliculitis, HS, psoriasis, Sweet syndrome, and pyoderma gangrenosum. HS is more commonly found in the African-American subgroup of SAPHO patients, and it is associated with high morbidity, poor response to medical therapy and often requires surgical intervention. Severe cases of HS are associated with bone erosions in the hands and feet. Cases of SAPHO with associated HS may demonstrate ocular involvement (acute anterior uveitis, bilateral keratitis), persistent proteinuria, and the presence of malignant tumors. 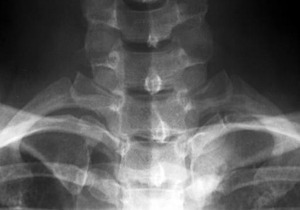 Insidious onset of intermittent pain and swelling in the bone and joints (bilateral and symmetrical) are characteristic features of the SAPHO syndrome. The most commonly affected bone sites are: metaphysis of tubular bones, flat bones and axial skeleton (spine, ribs, pelvis, sternum and clavicle). lesions, while chronic lesions demonstrate the presence of lymphocytes with occasional plasma cells, histiocytes, and occasional noncaseating granulomas. As lesions progress, an infiltrate of mononuclear cells is present, along with enlarged and sclerotic trabeculae. The latter stage is characterized by increased marrow fibrosis. Inflammatory arthritis may be part of the SAPHO syndrome. Studies comparing patients with psoriatic arthritis and SAPHO describe clinical similarities but fail to demonstrate a common immunogenetic background. SAPHO syndrome shows no clear association with either HLA-B27 or HLA-Cw6, but does exhibit correlation with HLA-B39 and HLA-B61. In addition, higher frequencies of MDM2 SNP309G and p53 SNP72C alleles are observed in SAPHO patients when compared with psoriasis and psoriatic arthritis patients. Both of these alleles have been linked to an insufficient p53 response, due to an imbalance between MDM2 and p53 regulation, favoring less effective apoptosis involving the infiltrating inflammatory cells. The pathologic role of microorganisms is debatable in the SAPHO syndrome. Previous reports indicate the presence of Propionibacterium Acnes and coagulase-negative staphylococci in the bone lesions and rarely coagulase-positive staphylococci. The SAPHO syndrome could represent a form of “reactive osteitis” to these bacterial triggering agents. skin inflammatory disorders ( PAPA syndrome: pyogenic arthritis, pyoderma gangrenosum, and acne), and mutations in NADPH oxidase (NCF4 gene). It was demonstrated a reduced oxidative burst in the neutrophils from subjects of a family with SAPHO syndrome-like phenotype when compared to the normal population. The findings were suggestive of an intrinsic defect in neutrophilic function. In a series of 29 patients, SAPHO syndrome demonstrated elevated IL-8 and IL-18 plasma levels. Also, IL-8 and TNF-α production by purified neutrophils was higher than in the healthy controls, with normal levels of oxidative burst and IL-18 production. But the induction of neutrophil IL-8 and TNF-α production by P. acnes was impaired in the SAPHO group. Interestingly, neutrophil IL-8 and TNF-α production decreased after 28 days of etanercept treatment. The study failed to detect autoantibodies in SAPHO patients. The conclusion was that the SAPHO syndrome might be the result of an abnormal immunological response due to the presence of P. acnes, increasing both the humoral and cellular inflammatory responses; these results were reinforced by the observation that etanercept was able to modulate PMN activation. Therapeutic options for SAPHO are currently limited and often based on anecdotal reports. The first-line therapeutic agents are Non-steroidal Anti-inflammatory Drugs (NSAIDs) and analgesic medications, which often provide limited benefit. Second-line agents include methotrexate, sulfasalazine, cyclosporine, and leflunomide. Calcitonin, bisphosphonates, and corticosteroids are effective in some cases. Calcitonin acts by decreasing bone turnover, while biphosphonates inhibit bone resorption and suppress IL-1β, IL-6, and TNF-α secretion. Antibiotics, more specifically macrolides, may be beneficial for SAPHO patients, not only due to the bactericidal properties but also due to the antiinflammatory and immunomodulatory effects. There is growing evidence that TNF-α inhibitors are effective for SAPHO patients. Intense expression and production of TNF-α have been observed in bone biopsy specimens of two patients by in situ hybridization and immunohistochemistry. The patients were successfully treated with infliximab and etanercept therapy, and response was maintained over a period of 9 months. Additional evidence of favorable clinical outcomes with anti-TNF-a therapy for SAPHO syndrome patients was described by Moll and associates. Seventeen patients, all with osteoarticular features and 78% with skin involvement, were treated with infliximab therapy. Twelve patients (66%) responded immediately after the first infusion of infliximab and four (22%) responded after the second infusion. Skin features, especially acneiform lesions, demonstrated improvement (70%) during the first 3 months of therapy, with sustained response.7 TNF-a inhibitors were also used by Abdelghani and colleagues in six cases, and clinical response was observed in 66.6%.